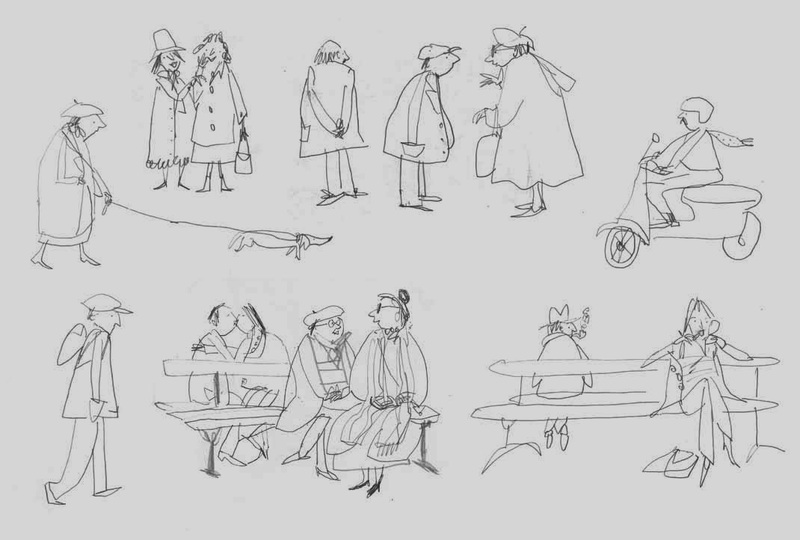 And drawing helps me to notice things that I may otherwise have overlooked. A Walk in Paris is the third ‘city book’ (A Walk in NewYork followed by A Walk in London are the other two). 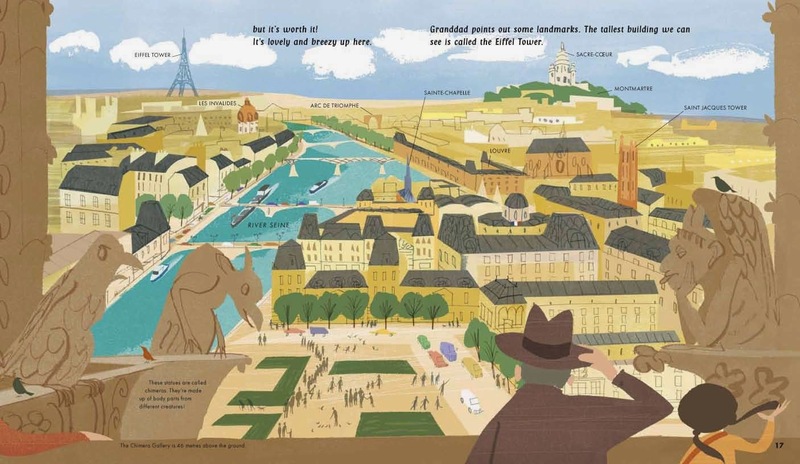 The book is the story of a day in Paris but is also a guide through the city. In fact, one of the first tasks was to plan a walking route of no more that 4 miles so that a family could cover this distance in a day if they were lucking enough to visit Paris. It was a case of finding a way to join up all the places I liked. Some places and landmarks I could include whilst others proved too far away (although I managed to include them in the view from Notre Dame instead). In the book, a girl and her granddad walk the journey I plotted. 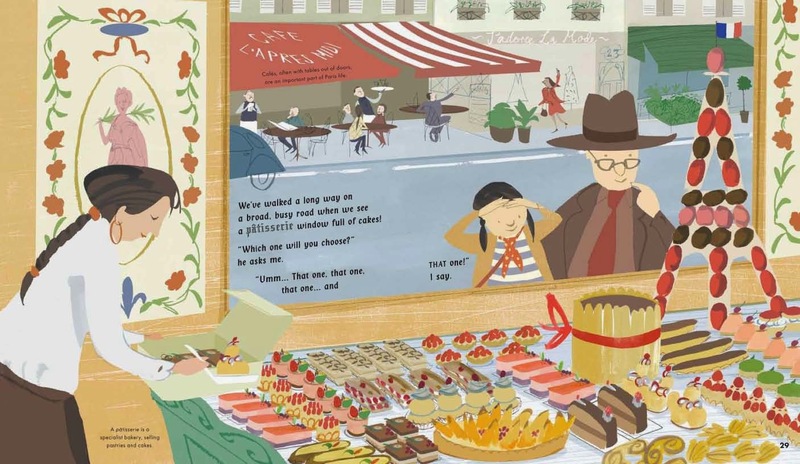 I identified with the granddad because like me he enjoys a good market and is tempted by delicious cakes. Paris is a visual feast, it delights the eyes and lifts the soul. There is a beautiful view everywhere you look! Even so, I tried hard to find different ways to describe familiar landmarks and Paris motifs. The things that interest me are the moments that remind me about life – like when the characters from the story get lost in the district called the Marais (that happened to me) or when the girl in the book looks at the cakes through a patisserie window (I did that a lot too). These moments and others attempt to describe how it feels like to experience Paris and it’s daily rhythms. I like to play with the pacing of pictures through the book and have included a fold out page to create a very different effect towards the end. I joked that the fold out could reveal a very long baguette for a while but it was clear early on that there was only one choice – the Eiffel Tower. At night the Eiffel Tower fizzes with lights and is the most wonderful spectacle. And my son also made a picture of it for the last page but was shrewd enough to ask me for a fee – now there’s someone who’s going places! 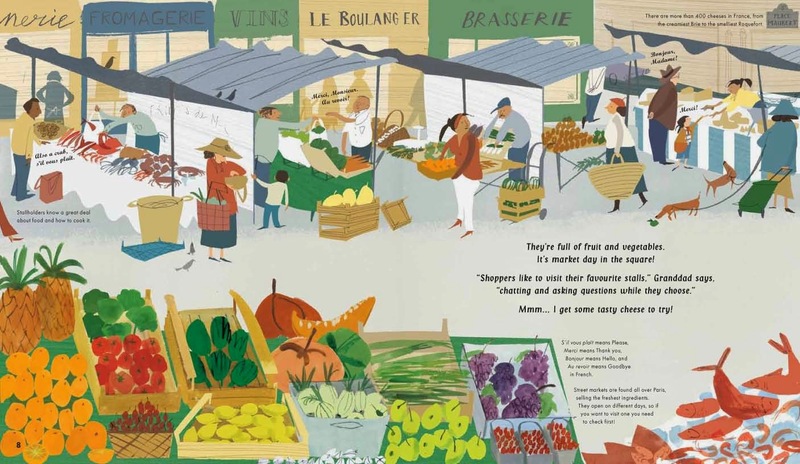 Hear more about the book in this interview with Salvatore Rubbino for French Radio London. 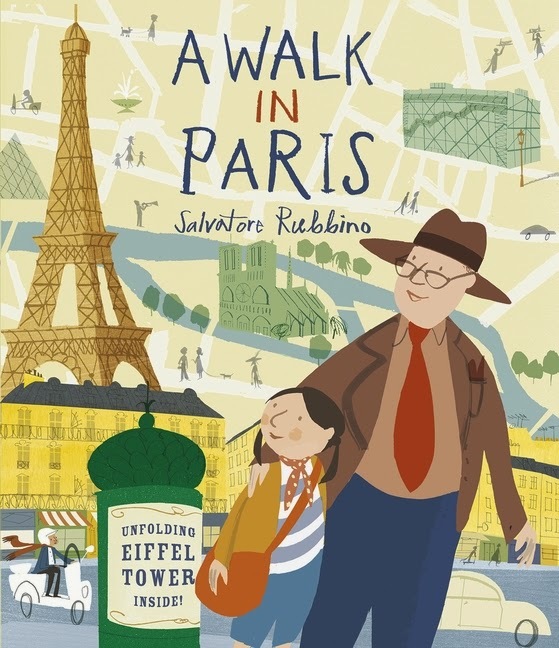 Get your hands on a copy of A Walk in Paris by Salvatore Rubbino at your local bookshop. 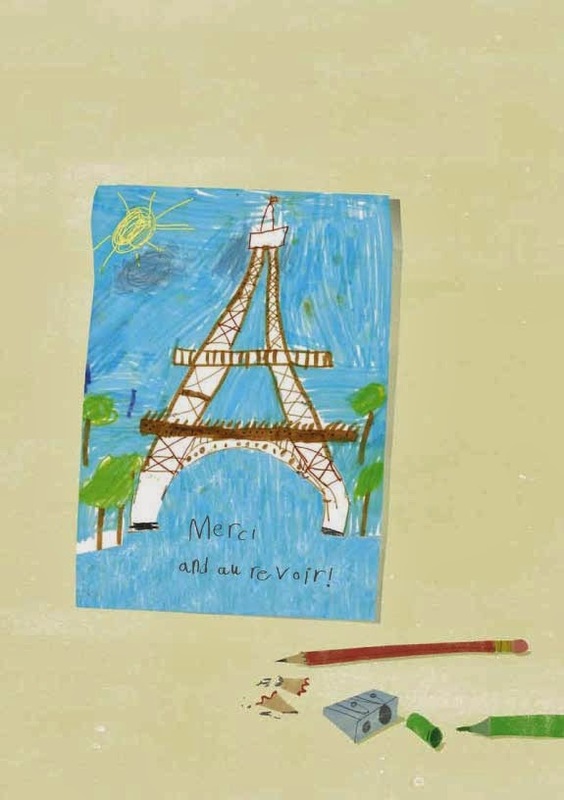 Join in the fun and download this free A Walk in Paris maze activity sheet.